"Perfect for Derby Day or any day spent lounging in the sun, these cool refreshing drinks are dangerously delicious! Garnish with fresh mint." 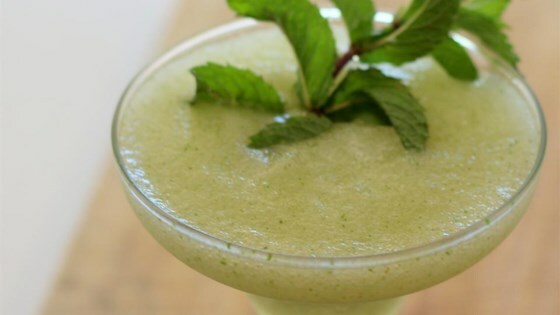 Pour bourbon, lemon juice, simple syrup, and mint leaves into a blender; blend on high until combined. Add ice; blend until juleps have a slushy consistency. Divide among serving glasses. An icy cold bourbon cocktail with fresh mint and mounds of crushed ice.